The northern Utah newspaper reports that the employees were told Thursday their positions weren’t included in the sale by Sandusky Newspaper Group to West Virginia-based Ogden Newspapers. Among the terminated employees are five newsroom staff, 10 people from the circulation and customer service team, seven packagers, four salespeople and the publisher. Five other unfilled positions were also eliminated from the advertising and editorial departments. The departures account for roughly 19 percent of the newspaper’s staff. 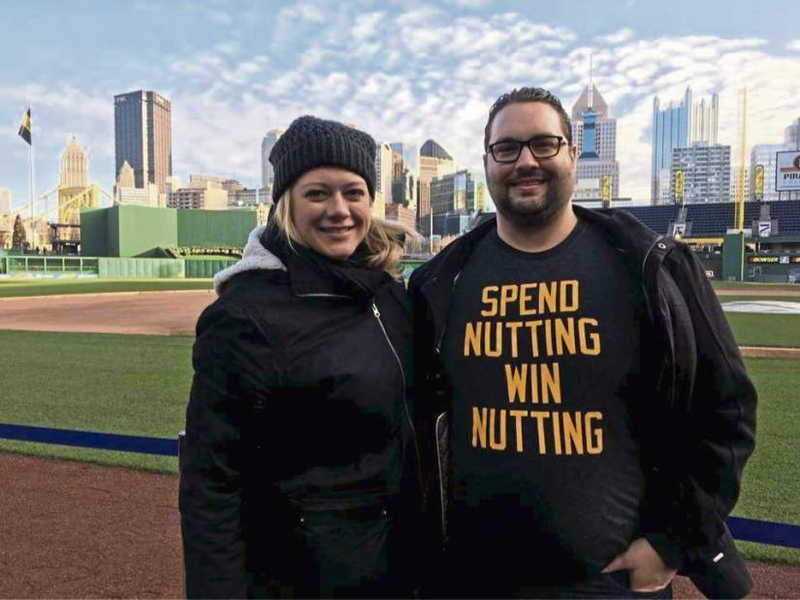 A security staffer at PNC Park forced a Pittsburgh Pirates fan to take off a shirt Friday night that read, "Spend Nutting Win Nutting," referencing owner Bob Nutting's management decisions, before the fan could enter the game. After he passed through security, the staffer told him, "I don't think we are allowing that shirt in tonight," Manypenny said. The staffer radioed to someone who apparently confirmed his decision. Pirates spokesman Brian Warecki said in an email that the security staffer wrongly interpreted a team policy stating that guests must refrain from "wearing clothing which, in the judgment of the Pirates, is indecent, derogatory, obscene, or otherwise detracts from the experience of other guests." "In this instance, the guest should not have been asked to turn his shirt inside out," Warecki said. "All staff will be instructed of this interpretation of our policy." According to the Trib and later, a critical Pittsburgh Post-Gazette editorial, the Pirates did not apologize to Moneypenny.